Li-ion batteries heat up during their charging and discharging cycles. Left unattended, they can overheat and get damaged. One simple cooling technique is the use of copper mesh to convey the heat away from the cells. 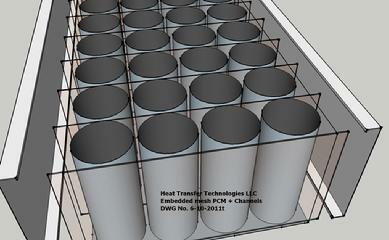 Another technique is to use Expanded Graphite PCM to absorb and conduct heat away from the cells.